This part of our website gives you information about gaming machine societies that distribute grants to community groups. This online booklet includes stories and tips on how best to apply for pokie grants. It showcases ten organisations which have used gaming machine grants and tells the stories of why they applied for a grant, challenges they faced, what the money was put to and tips for other applicants (download the PDF below). Application forms are available from societies (typically via a website), some community networks like Citizens’ Advice Bureaux, and often at gaming machine venues. You must send your application directly to the society and not through a venue. Also, the society must deal with you directly and not communicate with you through the venue. If you have difficulties getting an application form or believe that a venue or society has broken the rules, please contact the Gambling Compliance Group. 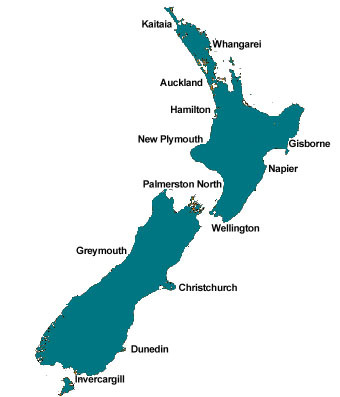 Use the map or links below to access the contact addresses of gaming machine societies in your area and around New Zealand. Alternatively, see a List of Society Websites. This information is updated regularly. Note: Information available on this page does not provide details of all gaming machine societies. Only those gaming machine societies that invite grant applications from the public are listed. Clubs operating gaming machines generally do not make grants to the public. Instead, they use gaming machine funds for club purposes which are Authorised Purposes under the Gambling Act 2003. If you require statistical information about all gaming machine societies, see our Gambling Statistics page. Societies: These are the organisations that own and operate gaming machines and make grants to non-profit community organisations. Venues: Formerly 'Sites', these are the pubs and other venues where gaming machines are located. They do not own the machines and must not be involved in decisions about who can apply for grants, who receives them or how much the grant should be. Authorised Purposes: These are the purposes for which societies can make grants. Different societies have different authorised purposes, but all must benefit the community. You can find out about each society’s authorised purposes by clicking on a region on the map below. More information about Authorised Purposes. You can also check out further information and funding options using the links below.